Comme pour les cannes adaptez le type de graisse aux différentes conditions. 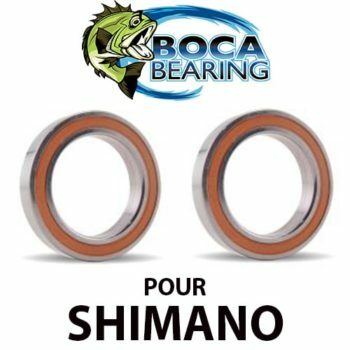 Pour l’entretien des moulinets, utiliser une graisse adaptée aux conditions augmente les performance, le confort et la durée de vie de vos engrenages. Idéale pour les engrenages des moulinets casting. 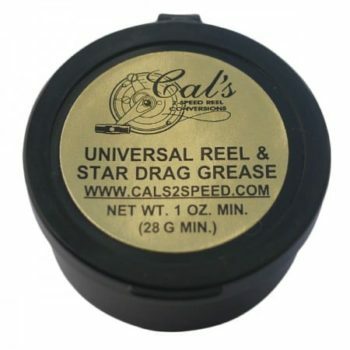 For reel maintenance, using different types of greases depending on the situation improves performance, comfort, and durability of your reel’s gears. 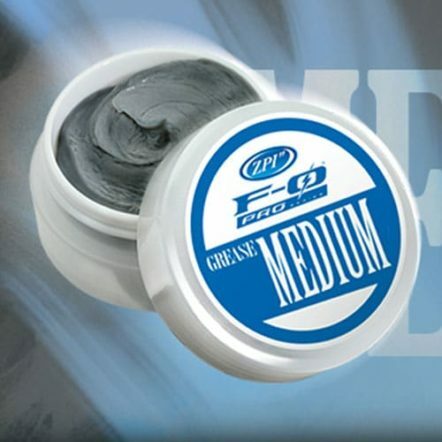 The high performance grease developed for the maintenance of bait reel uses the 100% high-class ester chemosynthesis oil. 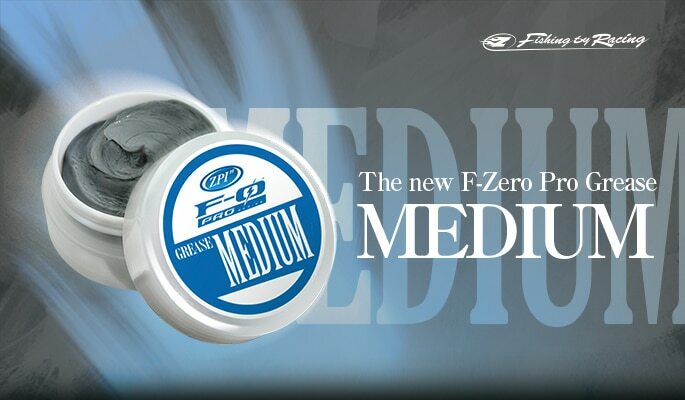 Composing the tried-and-trusted cluster diamonds, F-Zero Pro Grease Medium will help you not only improving the performance but also keeping your gear longer in better condition. 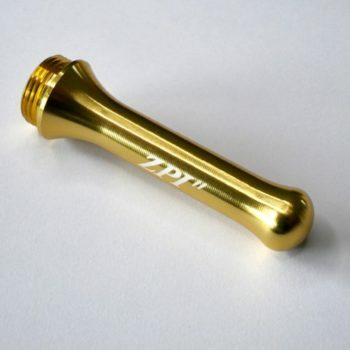 This is the standard grease for bait reel maintenance. Base ois is 100% high-class ester chemosynthesis oil which has excellent metal adsorbability. Proven cluster diamonds already used for F-0 Pro Oil series are also blended in it. 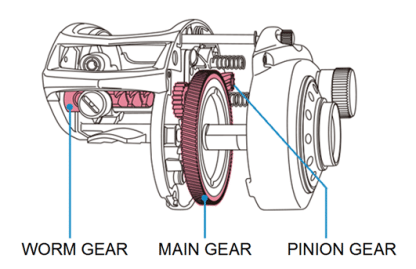 Enhanced extreme-pressure performance and wear resistance contribute to long-life of gears. Here is the result of coefficient of friction testing. 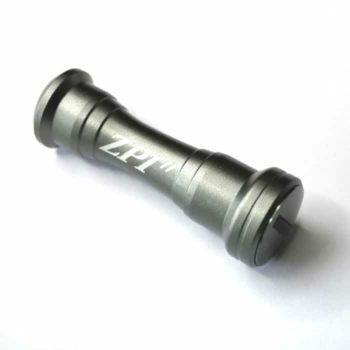 We evaluated reel greases made by ZPI and other companies, gradually putting more pressure on. 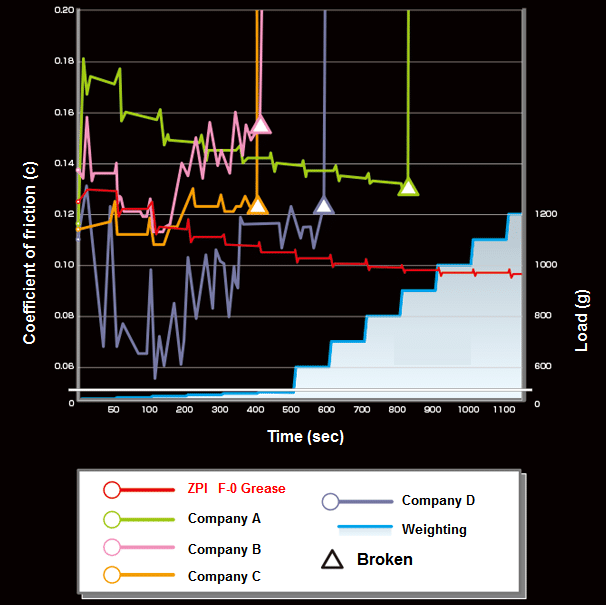 As you can see below, the graphs of company A-D started to go up and down from the beginning and became unmeasurable (burnout or breaking), but ZPI F-0 Pro Grease maintained stable lubrication even under continuous pressure. 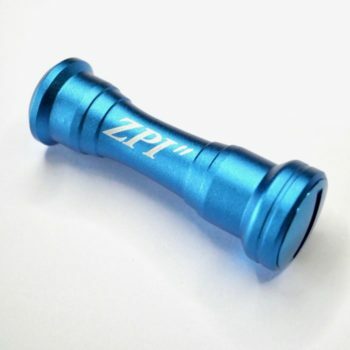 This is because that the hard diamond clusters dispersed in the grease act as a roller and keep incredibly the gear lubricated.